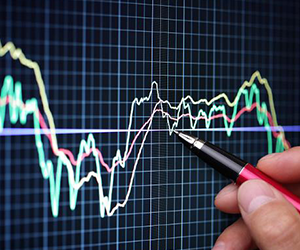 Read about Options technical analysis and technical indicators. Options analysis of markets can be done through two options: fundamental analysis, namely, with the help of market news, and options technical analysis that is done though technical features, tools and technical indicators for options. You do not need to be a tech geek to understand historical price changes and patterns, as well as clear-cut instruments to forecast movements of price. The primary focus lies in present and past movements of an underlying asset to evaluate its future value. Like in any form of forecasting, options technical analysis cannot guarantee trading performance, but help you make an educated guess, based on the patterns of movement, volume of trades and factual performance. Options technical analysis is applicable to all financial markets, where prices are influenced by a common concept of supply and demand. Adapts of this kind of forecasting believe that, unlike in the fundamental analysis, the primary issue is “What?” and not “Why?”. Technical indicators for options are believed to fully reflect market sentiments and all necessary information concerning the asset. It can be analyzed on different time-frames, depending on your trading style. 1-minute – 60 minutes charts for ultra-short and short-term trading, as well as time-frames of a day, month and even year for trading long term. Options technical analysis involves employment of key technical indicators for options, such as Stochastic oscillator, ROC, RSI and other to receive crystal clear patterns of support and resistance lines on which you can base your entering or closing trades. These are widely used to determine if the asset is being overbought or oversold, which can be useful when deciding in which direction to place your investment. Head-and-shoulders, double-top and double-bottom patterns are one of the most popular and reliable ones, which you can employ to direct your options trading. These patterns appear on charts when resistance and support levels are tested, and depending on whether they are breached or not, the pattern evolves. Finally, you can learn more about technical analysis for options trading in our Tools section and get to grips with a variety of trading instruments to improve your profitability rate. You will have an edge against other traders, as you would be anticipating correctly forecasting price movements more often than others.